24/7 security monitoring is the monitoring of your security system at all hours. Whether you are home or away, the quick and detailed communication between your security system and the central station ensures that any emergencies are taken care of quickly. This high-level of monitoring can limit or eliminate property loss and/or damage, as well as make you feel safe and secure when inside the structure. When the alarm sounds and the central station is contacted, it is because the alarm system control panel has registered an emergency event (fire, flood,CO2, break-in). A signal is sent to the central monitoring station so the appropriate authorities can be contacted and sent to your home or business. The signal that is communicated to the central monitoring station includes information such as the zone in the home or business that was triggered and the type of signal. Signal type is very important because it lets central monitoring know which emergency departments need to address the call. We believe in making owning a security system as simple as possible. While you can monitor your security system using your smartphone, tablet, or PC, the central monitoring station's role is to have a set of eyes on your home or business at all times. Phone and tablet batteries die, you get busy, and mobile data signals aren't always 100% reliable. Fortunately, 24/7 alarm monitoring IS reliable. While you are enjoying your vacation, in the middle of a meeting at work, or traveling through the mountains, the alarm monitoring station is still watching your system so that action can be taken in the event of an emergency. This gives you peace of mind so you can go on with your day without having to worry about what is happening at home or at your business. It's our mission to protect you, your interests, and everything that you work hard for. That is why we have committed alarm monitoring specialists watching your home or business at all times. This is 24/7 monitoring, so your system is even watched on weekends and holidays. Our specialists work around the clock, but the monitoring service is affordable for you. At SPS Fire and Security, we work hard to provide you with personalized and superior service that gives you the peace of mind that you deserve. 24/7 security monitoring is important because it means having a set of eyes on your home or business at all times. 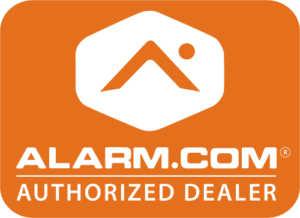 To learn more about our alarm monitoring service, contact us today to schedule your free, no-obligation consultation by clicking the button below or call 585-770-0348.